Check out our Inspirational Videos! Prov.4:18 But the path of the just is as the shining light, that shineth more and more unto the perfect day. Gal. 3:13,14 Christ hath redeemed us from the curse of the law, being made a curse for us: for it is written, Cursed is every one that hangeth on a tree: That the blessing of Abraham might come on the Gentiles through Jesus Christ; that we might receive the promise of the Spirit through faith. 1 Cor. 6:19,20 What? Know ye not that your body is the temple of the Holy Spirit which is in you, which ye have of God, and ye are not your own? For ye are bought with a price: therefore glorify God in your body, and in your spirit, which are God's. Gal. 5:22 But the fruit of the Spirit is love, joy, peace, longsuffering, gentleness, goodness, faith, meekness, temperance (self control): against such there is no law. Matt.5:13-14 Ye are the salt of the earth:...Ye are the light of the world. 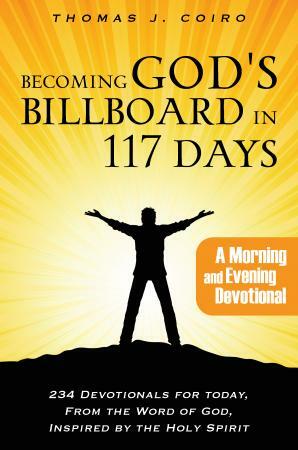 As God's Billboards we let Jesus and His Love flow through us, to God and others. We are to live a life full of love, can you think of a better life but one flowing in love, God's Love at that, Agape Love. Jesus Loves us so much. He died so we could live forever with Him in Heaven. He lives to intercede for us, and be our best Friend. Rom. 3:10 As it is written, There is none righteous, no, not one. Rom. 6:23 For the wages of sin is death; but the gift of God is eternal life through Jesus Christ. Rom. 5:8 But God commendeth His love toward us,in that, while we were yet sinners, Christ died for us. Rom. 10:9-11 That if thou shalt confess with thy mouth the Lord Jesus, and shalt believe in thine heart that God hath raised Him from the dead, thou shalt be saved. For with the heart man believeth unto righteousness; and with the mouth confession is made unto salvation. For the scripture saith, Whosoever believeth on Him shall not be ashamed. Rev. 3:20 Behold I stand at the door, and knock: if any man hear my voice, and open the door, I will come in to him, and will sup with him, and he with me. Matt. 28:18-20 And Jesus came and spake unto them, saying, All power is given unto me in heaven and in earth. Go ye therefore, and teach all nations, baptizing them in the name of the Father, and of the Son, and of the Holy Spirit: Teaching them to observe all things whatsoever I have commanded you: and, lo, I am with you alway, even unto the end of the world. Amen. All power belongs to Jesus, He has the keys to death and hell, He has won the victory and gave it to us. Jesus gives us the directions to GO. Seeing He has all the Power, we need to Go and be Witnesses and He will be with us always. Mark 16:15-20 And He said unto them,Go ye into all the world, and preach the Gospel to every creature. He the believeth and is baptized shall be saved; but he that believeth not shall be damned. And these signs shall follow them that believe; In my name shall they cast out devils; they shall speak with new tongues; They shall take up serpents; and if they drink any deadly thing, it shall not hurt them; they shall lay hands on the sick, and they shall recover. So then after the Lord had spoken unto them, He was received up into heaven, and sat on the right hand of God. And they went forth, and preached every where, the Lord working with them, and confirming the word with signs following. Amen. Jesus said to GO and they went and preached every where, with the Lord working with them, confirming the word with signs following. The signs Jesus spoke of still happen today. We see many get healed today when prayed for in Jesus name. Father we pray we will go where you send us, and that you will anoint us with your Holy Spirit, so we will bring forth good fruit, and souls will be saved. And we pray you will confirm your word with signs following. In Jesus name we pray.